There are many roads that can lead us to discovering the work of Emmi Pikler. Whether we are seeking a successful infant group-care model, information on how to parent with respect, sourcing indoor play equipment or material on motor development - these roads are formed and paved with original ideas that began with Emmi Pikler and developed throughout her life’s work. Emmi Pikler showed us the supreme importance of the Relationship for the healthy development of the infant, which we now refer to as ‘attachment’. She mapped out the way in which children’s motor development unfolds naturally, and documented these universal, natural developmental patterns with decades of detailed research. The training and guidance she designed for adults offered a new way to see and raise children in a kind and respectful manner that was revolutionary then, and still is today. Her ideas were effective inside the family home and in institutions, both for the very young baby through middle childhood. But perhaps what is the most interesting is that these ideas were forming while studying in the 1920’s and first put into practice with great success in 1930’s. Just as things in nature first spout and then grow bigger, so too has the development of Pikler’s ideas. Through this collection of stories we can track the development of Piker's genius, introducing people who influenced her along the way and who aided her in bringing her ideas to the world. As a student of medicine in Vienna, Emmi met two people who would greatly influence her work, Prof. Clemens von Pirquet and Prof. Hans Salzer. She would later acknowledge them as her ‘first teachers’. Prof. Clemens von Pirquet took a special interest in the children's everyday existence in hospital care. Great importance was placed on the child's health rather than the illness. Children were to be outside in the fresh air and to play a lot. He had specific instructions around nutrition and meal preparation. It was forbidden to make a child eat one single spoonful more than the child wanted. Prof. Hans Salzer was known for his different approach when consulting, examining and treating children; his focus was on treating the child as a person, rather than on treating an illness. Salzer took the time to establish a relationship with the child and spoke with the child for as long as was necessary for the child not to be afraid of the examination, nor of him investigating. Examinations and treatments were easier with a patient who was willing to cooperate; sick children could feel relaxed in tests and crying was avoided. Professor Salzer also emphasized the prevention of illness and the importance of healthy lifestyles. It was while studying that Emmi noticed in the accident statistics, there were fewer fractures and concussions among the children of lower class families who played out on the street than for the children of well-to-do families who were kept inside under the careful watch of a governess. It seemed that the children who enjoyed the freedom to roam, run and play where they liked were more alert, more physically capable, and were able to fall without hurting themselves. By comparison, the children of well-to-do families were over-protected, their movements were limited and they did not know their own physical capabilities or limits. Looking further into the ways children were being raised from a physical perspective, Emmi noted that all children, across all social classes, were being assisted, sat, propped and walked. Emmi did find, however, that the well-to-do families spent extra time manually exercising their babies' limbs in order to encourage physical development. György Pikler and Emmi married in 1930. György, a high school mathematics teacher at that time held progressive pedagogical views. In his work he emphasised that children should study at their own pace of development. The two shared an interest in child development. In 1931 Emmi and György became new parents to their daughter Anna. Together, they decided to do everything they could to enable the healthy development of their first-born child. They decided not to force Anna's development with exercises, or by propping her to sit and steadying her to walk. Instead, they allowed plenty of space and time for her physical development to unfold naturally through freedom of movement, independent play, all grounded in a secure, kind and respectful relationship. In 1932, the family moved to Hungary, three years later in 1935 Dr Pikler began her private practice in Budapest. It was in her practice with over 100 families that she was able to incorporate what she had learned from deciphering accident statistics in Vienna, observing 'helping' adults in Trieste, and in the raising of her daughter. Maria Reinitz (Márika) had completed her nursing training and was working as a kindergarten teacher when she first met Dr Emmi Pikler. The two began a professional working partnership with Reinitz working as a visitor-nurse alongside Dr Pikler, she assisted in teaching the mothers to care for their babies. In 1935, Pikler was introduced to the work of Elsa Gindler and later became friends with Gindler’s student Elfriede Hengstenberg. Gindler, Pikler and Hengstenberg all recognised the relationship between the emotional and the physical influence on the structure of the body. They also recognised inner laws of movement govern the body, unfolding when given the opportunity and the right environment. Both Gindler's and Hengstenberg's work was correctional, redressing misalignments that had occurred in the body. Dr Pikler's approach was preventative, supporting natural development with an emphasis on emotional security led to physical unfolding without distortion. Magda Gerber’s family came to be in Pikler’s paediatric care (c.1937). It was observing Pikler at work that left such a great impression on Magda. In turn, she played a big role in revealing Pikler’s ideas to the English speaking world through the organization Resources for Infant Educarers (RIE), which she established in 1978 together with Tom Forrest, M.D. Pikler’s first book 'Mit Tud Már a Baba?’ (‘What Do You Know About Your Baby?’) was published in 1940. The book brought together Pikler’s ideas and approach to caring for young children and child development (she developed and refined some of those ideas in subsequent years). Today, the sections which have been translated into English illustrate the strength and foresight of Emmi Pikler at such an early stage in her life’s work. In 1946 after the war, Emmi Pikler was asked by the local authority to set up a residential nursery in Budapest. The residential nursery would take the babies that the war had left behind. Her condition for accepting the role was that Márika Reinitz joined her, helping to run the project. Together the two set up the environment for the healthy development of children in residential care. After an unsatisfactory beginning with trained nurses whom they later dismissed, they selected staff carefully. They created their own training regime and materials to the train the staff in 'a new way’. The residential nursery was set up in a large house with generous garden space. While there have been many name changes over the years, the place has always been fondly referred to as “Lóczy", named after the street address. While Lóczy continues to operate today, its role as a residential nursery ended in 2011. During those 65 years, more than 2000 infants lived at Lóczy, most were between the ages of 0 - 3 years old, though some would stay longer, even up until the age of 7 years old. The team of people who came to work at Lóczy each played a part in implementing and developing Pikler’s original ideas and approach. There are too many to introduce here. The orphanage setting presented the opportunity for Pikler to consolidate her ideas, experience and observation she had gained working with families, and to execute them on a larger scale in a different setting. It is said Pikler’s goal was to create an institution where the occupants would not become ‘institutionalised’. This new environment offered controlled research conditions, enabling Lóczy to become the home to decades of research. The research findings illustrate how attachment influences somatic and mental development, the natural sequence of infant motor development and uninterrupted child-led play. Mental Development: There have been follow up studies on the children who lived at Loczy, including a landmark study funded by the World Health Organisation in the 1960/70’s looking at the social adjustment of the children reared at the Pikler Institute. Infant Motor Development: While Pikler had already established the sequential schema of development in the 1930/40’s, in the controlled conditions at Lóczy she was able to show the natural unfolding of motor development in the infant, because all children were handled and supported both physically and emotionally in the same way. Pikler's unique work expanded professionals' knowledge and understanding of the motor development of infants and young children and continues to stand alone as a beacon, even today. Many refer to Dr Pikler’s work and research on natural infant motor development, she is cited in many papers and publications. The daughter of Emmi and György Pikler, Anna's own upbringing not only embodies but also marks the start of the 'Pikler Approach'. Anna Tardos joined the team at Lóczy part time in 1956 and in 1961 began full time alongside Dr Pikler. Her work at Lóczy included research, pedagogical work, and management. Tardos regularly held lectures and seminars about the development, care and education of infants and young children, not only in Budapest but also in many countries around the world. In 1998, following on from Dr Emmi Pikler, Dr Judit Falk and Dr Gabriella Püspöki, she became the director of the Institute for the ten years before the government closed the Infants’ Home and dissolved the Institute in 2011. 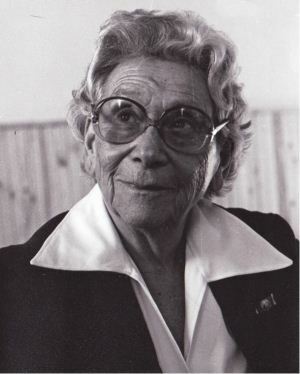 Tardos has carried on the work of her mother Emmi Pikler and has contributed greatly to the English-speaking world with her knowledge of Pikler and the Pikler Approach. Today she provides support to the Lóczy Street Daycare Center and Pikler Parent-Child groups. As the president of the Hungarian Pikler Lóczy Association, she actively participates in organising and teaching courses offered at Lóczy and abroad. Lóczy continues to be the 'headquarters' for Pikler’s work today, it is home to the Lóczy Street Daycare Center, Pikler Parent-Child groups and to highly skilled professionals who not only deliver Pikler Training, but also train trainers. Since Pikler’s death in 1984 the team at Lóczy have diligently carried Pikler’s work on and forward, keeping the core of her approach intact. People from all corners have been drawn to Pikler’s work, many have trained at Lóczy and official Pikler organisations have sprung up around the world, making her approach available to many more. Emmi Pikler’s approach continues to inspire people, from day-care, early childhood education, and families - across cultures, countries and languages. Those who have grasped and applied Pikler’s ideas find peaceful and cooperative working relationships with children, extremely low illness reports in care facilities, harmonious family life, healthy and thriving children, and their own personal growth. When looking for ways to explain how Pikler’s work can be so effective in so many different contexts (cultures, countries, and ages) we begin to see that 'the approach’ is in itself a culture. Anna Tardos explains, "The application of Emmi Pikler’s respectful and affectionate image of the baby, has helped babies to develop well, and adults to change their internal representations of the baby’s capacities and their role as care providers.” (Introducing the Piklerian Developmental Approach: History and Principles, The Signal World Association for Infant Mental Health Newsletter 2010). As Dr Pikler’s legacy continues to spread, grow and ‘culturalise’, many acknowledge Emmi Pikler as a ‘first teacher’ and the origin of an exemplary approach to raising children.